CHICAGO (December 4, 2017) – Zapwater Communications, Inc. announces the agency has been retained by the Greater Ravenswood Chamber of Commerce as its public relations agency of record. Located on the North Side of Chicago, Ravenswood is renowned for its dynamic and diverse blend of tree-lined residential streets. The charming neighborhood prides itself on its local artisans, entrepreneurs and artists, whose retail shops are among Chicago’s best. Ravenswood is easily accessible via Chicago’s public transit lines, CTA and Metra, and is home to some of the city’s top dining destinations, including Michelin-starred Band of Bohemia. Established in 2015, the Greater Ravenswood Chamber of Commerce is tied to a nearly 60-year history of fostering a vibrant, locally-focused economy in Ravenswood. Built on the foundation of the Ravenswood Community Council’s work within the area’s commercial corridors – generally bounded by Clark, Leavitt, Foster and Irving Park – GRCC is guided by the belief that creativity, sustainable living and diverse industry position Ravenswood as a destination neighborhood. The account will be managed by Zapwater’s Chicago office within the agency’s travel and destination division. Scope of work includes media relations, influencer relations, partnerships and events. The Greater Ravenswood Chamber of Commerce joins the Greektown and Lakeview Chambers of Commerce as current Zapwater clients. 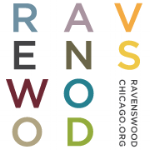 For more information about the Greater Ravenswood Chamber of Commerce, please visit www.ravenswoodchicago.org.